Polaris® All Aluminum Open Motorcycle Trailers provide the best solution for showing off your Motorcycle for either 1 or 2 bike capacities. 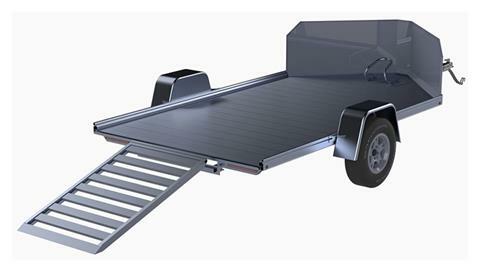 They feature Extruded Aluminum Decking, Aluminum Spoke Wheels, a Removable 18" Stoneguard, and a Heavy Duty Pull-Out Aluminum Ramp. 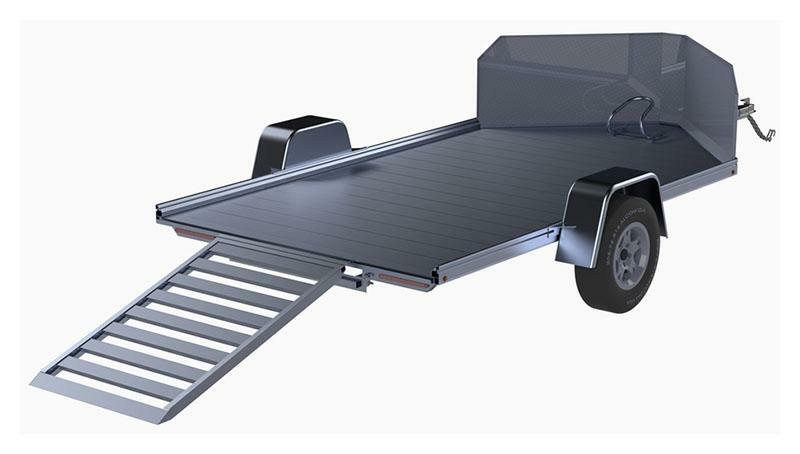 Our All Aluminum Open Motorcycle Trailers can also be fitted with various Options and Accessories to fit your needs.